A prosperous industrial city in the north of Mexico, Chihuahua is on the western flank of the desert of the same name. 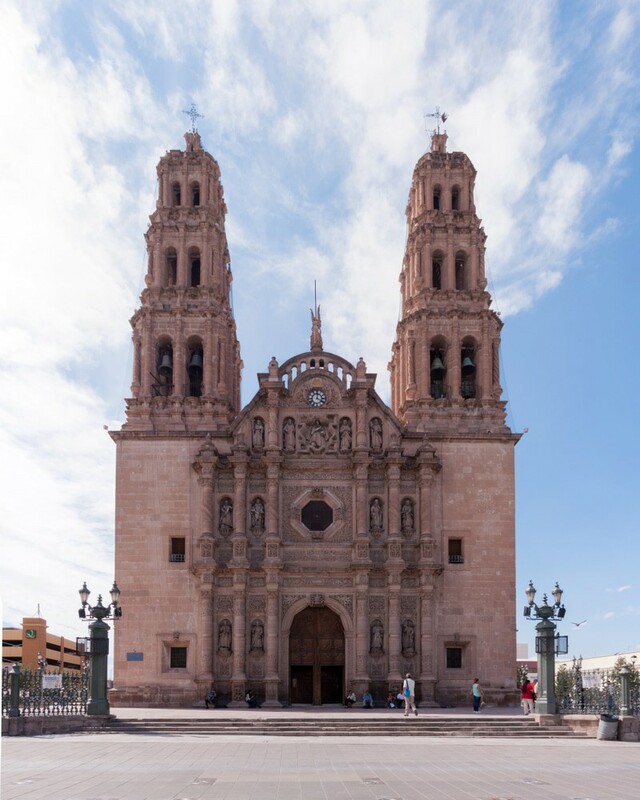 Chihuahua’s 18th-century cathedral is the outstanding Baroque monument in the north of the country and is the highlight of an engaging historic centre. A few giants of Mexican history lived in Chihuahua, either out of choice or under duress. In the latter category were independence leader Miguel Hidalgo, who was executed at the Federal Palace in 1811, and President Benito Juárez, who decamped to Chihuahua during the French incursion in the 1860s. The folk hero and revolutionary, Pancho Villa had a home in Chihuahua, and in the courtyard of his mansion is the Dodge car in which he was assassinated in 1923. 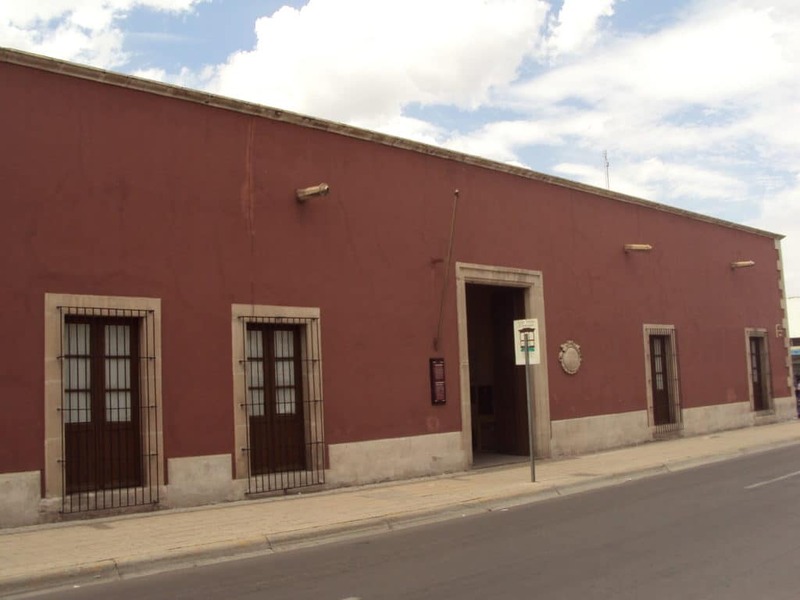 On Calle Decima you can visit the home of Pancho Villa, one of the protagonists of the Mexican Revolution of 1910 to 1920, and well-known for his guerrilla campaign against the United States Army. The estate was acquired by the government upon the death of Villa’s widow María de la Luz Corral in 1981 and is chock full of memorabilia relating to the Mexican Revolution. There are documents, weapons, personal effects and, in the main entrance, an intriguing photograph of the 25 women claiming to be wives of Pancho Villa. He was assassinated in 1923 and his bullet-riddled car is on show in the courtyard. 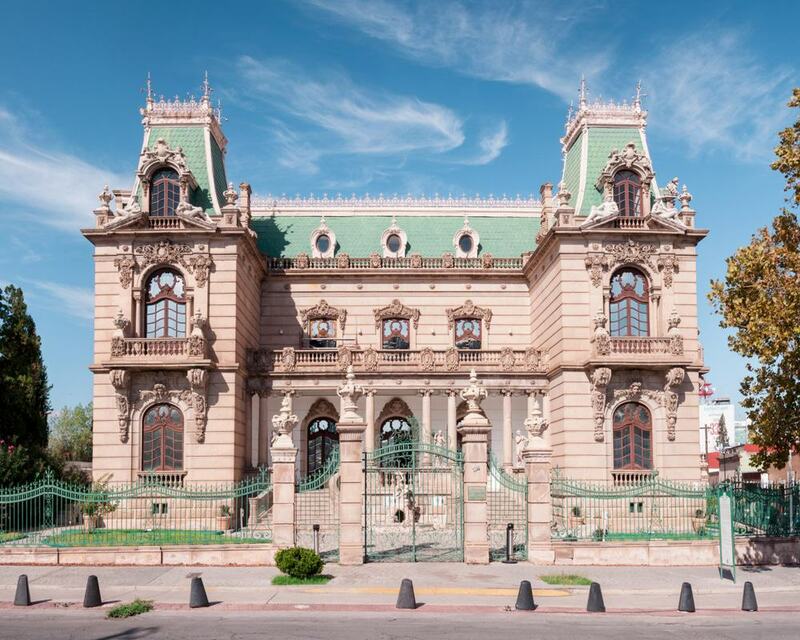 On Paseo Bolivar, the Quita Gameros is a lavish art Nouveau residence ordered by the entrepreneur Manuel Gameros for his wife. Work began in 1907 and was completed at the dawn of the Mexican Revolution so this Porfirian couple was never able to stay in the building. The house is decorated with Art Nouveau furniture from the Requena collection, and has quirky and more lavish details to keep an eye out for. 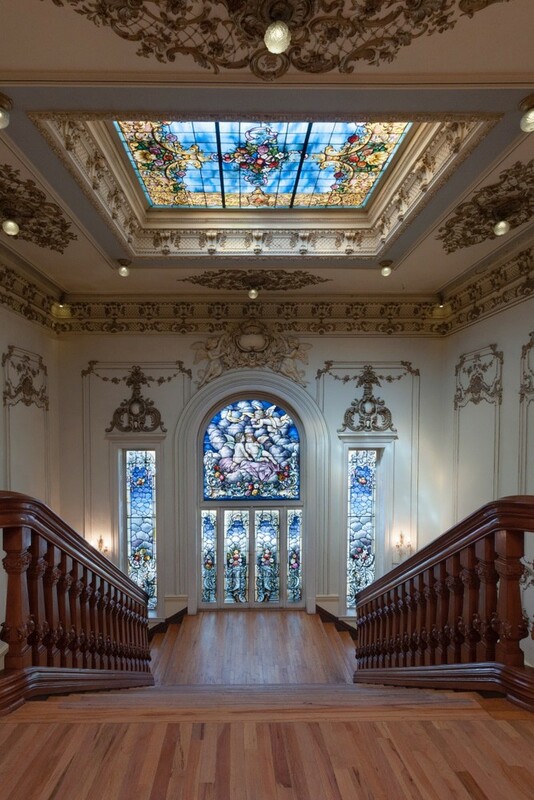 The ground floor has a double staircase under a Tiffany stained glass window, as well as wooden reliefs carved by European artists based in Mexico city. There are parquet floors on both levels, and the exterior has whimsical carvings of salamanders at the base of its columns. Bounded on the north by Av. Niños Héroes, to the east by la Av. Pacheco, the south by la Av. 20 de Noviembre and to the west by Blvd. Díaz Ordaz, the Centro Histórico is where all of Chihuhua’s oldest architecture can be found. Like all Mexican cities Chihuahua was plotted on a grid system so is simple to navigate. Some monuments to track down that aren’t on this list are the neo-Baroque Casa Creel (1894), at the corner of Libertad and Calle Segunda, the handsome Central University Hospital building from 1897 and the Francisco Villa Mausoleum (1914) in Parque de la Revolución. The spacious Plaza Mayor features the Ángel de La Libertad, a 37-metre Ionic column capped with a golden angel to commemorate the independence leader Manuel Hidalgo. 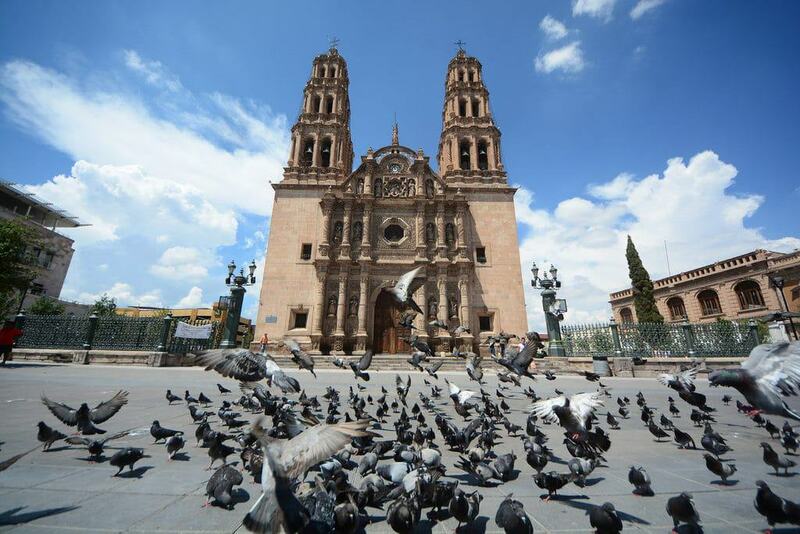 Regarded as northern Mexico’s finest Baroque monument, Chihuahua Cathedral is on the south side of Plaza de Armas and dates from 1725. The facade stands out for its use of Solomonic columns, which aren’t common in New Spanish Baroque architecture. Some of the fittings that you can see here were produced abroad, like the octagonal window commissioned in Germany, and the clock made in London. Just inside the portal is a beautiful carved wooden nave screen with a carved relief of St Peter and St Paul. In the Capilla del Cristo de Mapimi is a remarkable 18th-century reredos, blending the Baroque style with folk art and sporting a highly venerated image of Christ. Occupied by Chihuahua’s federal postal service up to 2004, the old Federal Palace is now an exhibition centre and museum. The basement is where the independence leader Miguel Hidalgo was imprisoned by the Spanish in 1811 from April until his execution in July. The museum revealing off his cell was opened in 1972 and has a few of Hidalgo’s belongings and documents, and a bronze inscription recounting the words he wrote with coal in the hours before his death. 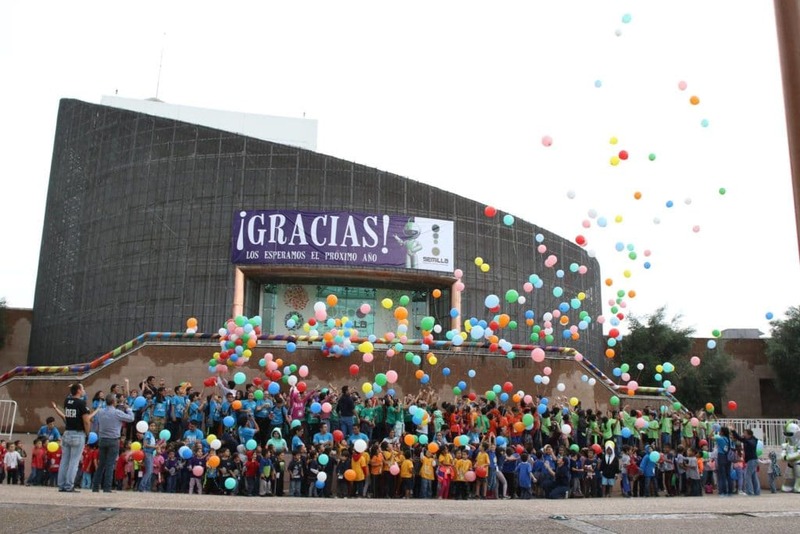 The galleries on the ground floor and basement stage four exhibitions a year on topics relevant to the state of Chihuahua, while the top floor has a museum about the state, exploring its folk heritage, mountains, plain and desert. The eight million year-old Nombre de Dios Caves are only 15 minutes from the centre of Chihuahua, beside the Sacramento River. On an hour-long visit you’ll investigate 1,330 metres and 12 different chambers, descending 85 metres below the surface via a network of sturdy and well-lit walkways. The caves are loaded with surreal stalagmites and stalactites, and at El Corazón de la Gruta there’s photo-worthy opening in the rock with the shape of a heart. 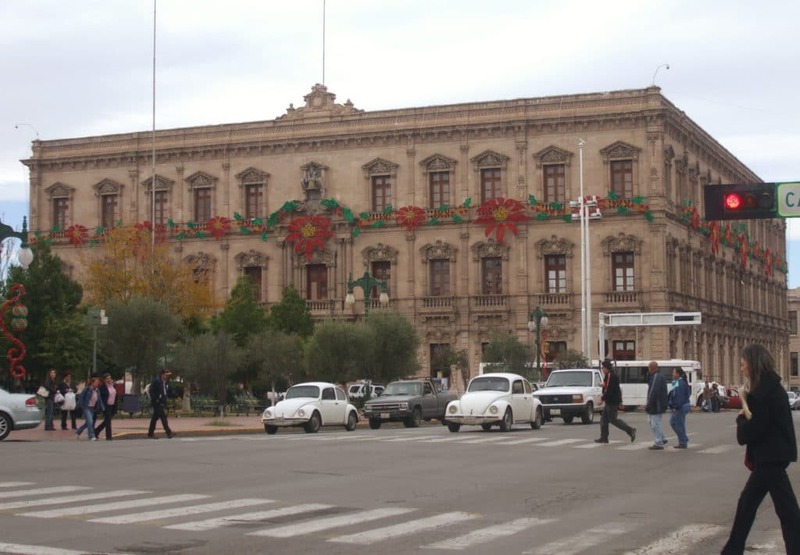 Up to 2004 the Government Palace next to the Museo Casa Chihuahua was where the legislature of the State of Chihuahua sat, and the building continues to hold the executive offices of the governor. But there’s something much more intriguing about this location, as it is the very place where Miguel Hidalgo was executed by Spanish firing squad in 1811. The Altar de la Patria (Altar of the Fatherland), installed in 1956, is at the location where Hidalgo fell. There’s also a mural showing Hidalgo’s last moments, painted in the late-50s by Aarón Piña Mora. This initial piece was such a success that Piña Mora was then commissioned to decorate the entire first floor. On Calle Libertad, the San Francisco Temple is one of just a handful of monuments in Chihuahua still standing since colonial times. It was begun in 1717 within ten years of the city’s foundation and was completed in 1789. As the name implies the church was established by the Franciscan order and with its plain whitewashed walls it has the no-frills style associated with the Franciscans. If you’re on the Miguel Hidalgo trail, there’s a monument to the independence leader right in front of the church, and a stone in the church marks the place where he was buried between 1811 and 1823 before his body was moved to Mexico City. 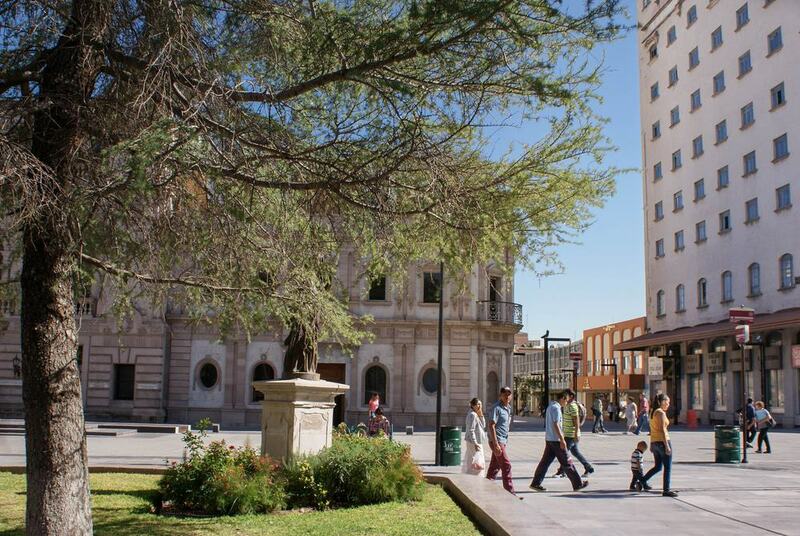 Between the current Ayuntamiento building and the Cathedral is Chihuahua’s the Plaza de Armas, which is the heart of the Centro Histórico and took on its current layout in 1895. On each corner of the square are bronze allegorical statues, cast in Paris and representing labour, commerce, agriculture and mining. Also here, among the symmetrical gardens is a wrought iron French-style bandstand and a statue of Don Antonio de Deza y Ulloa, the governor of Nueva Vizcaya who founded Chihuahua in 1709. On Chihuahua’s southwestern outskirts is a park around the Presa El Rejón reservoir, lying just in front of the La Salle university. Clear of the city, it’s a good place to size up Chihuahua’s topography and see the three hills, particularly Cerro Grande, that appear on the city’s coat of arms. Many visitors come here for exercise and the perimeter jogging trail is 6.5 kilometres, with exercise stations every few hundred metres. The “family centre” on the eastern shore has a place where you can hire a boat, food stands, a cafe, a children’s play area and an observatory to watch the night sky. Briefly, from 1864 to 1866, this building was home to President Benito Juárez’s and was the seat of his constitutional government while Mexico was under the rule of the France-backed Maximilian I of Mexico. So essentially for those two years, the Casa Juárez was Mexico’s National Palace. Juárez moved back to Mexico City after the defeat of the short-lived Second Mexican Empire and he was restored to full power. 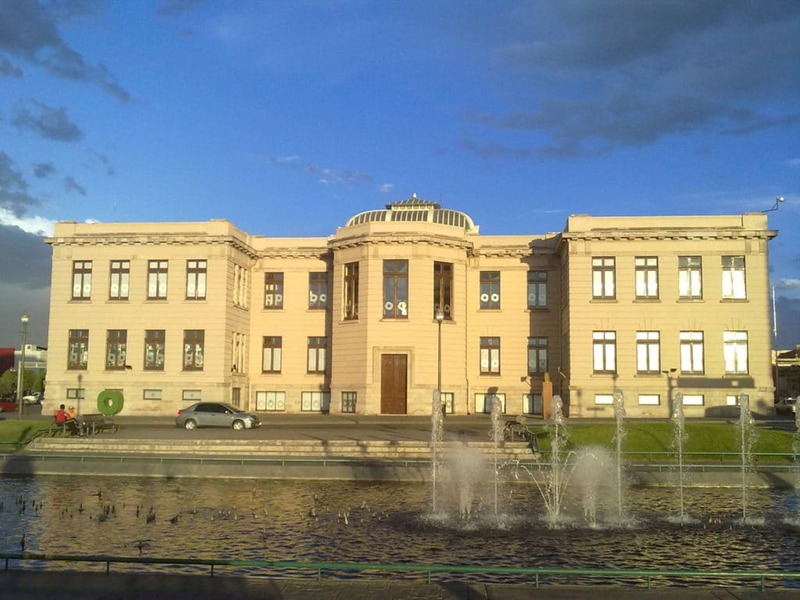 When the new Government Palace was completed, the building became a school and it was only on the centenary of Benito Juárez’s death in 1972 that it was converted into a museum. The interiors are furnished with items from the 1860s, and there’s information about Juárez’s military campaign against the French incursion. A fun-filled interactive museum for kids, the Museo Semilla has six halls of interactive exhibits and experiments. These deal with topics like biology, mathematics, astronomy, weather, electricity and are as entertaining as they are educational. You can lie on a bed of nails, see inside a volcanic cone, walk over tectonic plates, program your own robot, feel what it’s like to be an astronaut on a gyroscope, generate electricity on a bicycle, to name a few activities. The museum also has a working farm where kids can make friends with a horse and see chickens laying eggs, as well as a dinosaur area where budding palaeontologists can look for fossils. 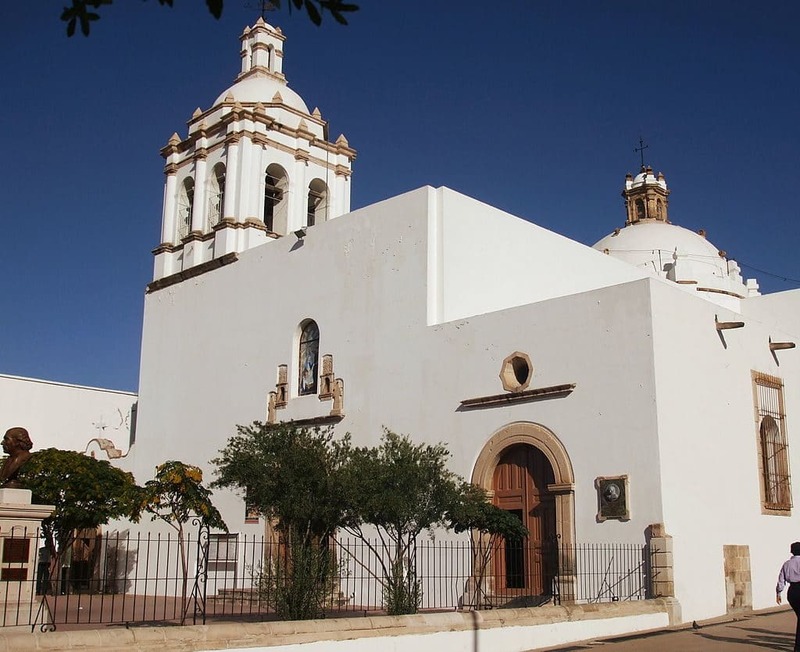 Since you’re on the western edge of the Chihuahua Desert you could make for this museum not far away in Delicias to get to know this ecosystem and its natural history. The museum is new, using modern design, low-energy lighting and ambient music in its four galleries charting the desert’s evolution and going into depth about its fauna and flora. 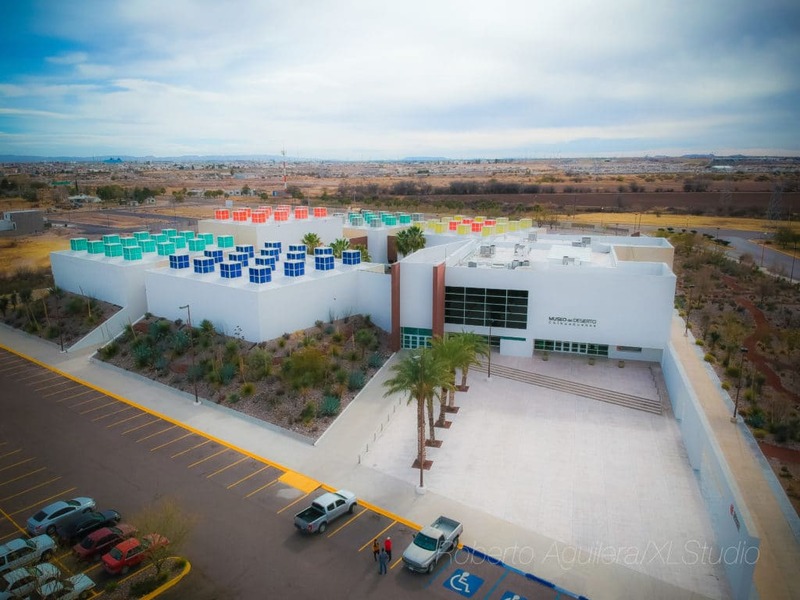 Two of these halls are devoted to the largest palaeontological collection in the State of Chihuahua, with 20 full-size skeleton models of the region’s Cretaceous dinosaurs, all moulded from original fossils. On the road to the border town of Ojinaga is a 16-kilometre canyon with cliffs more than 350 metres high. El Pegüis Canyon is often overlooked in Chihuahua state in favour of the epic Candameña Canyon, and this is down to its isolated desert and a winding road approach road, which is not to be taken lightly! To avoid the most extreme temperatures it’s a good idea to plan a trip around early summer when you can hike for an hour through the gorge, which narrows to just eight metres in places. The parched ground is sprinkled with biznaga and nopal, while the Conchos River attracts rafters and kayakers. If you’re really up some adventure you can contact a tour company for rappelling down the canyon walls. The extreme temperatures in this desert region mean that settlers had to find ways to preserve food outside the short harvest periods. That led to the dried pork and beef that goes into many regional preparations, like chile colorado con carne seca (red chilli sauce with dry meat). The breakfast of choice is machaca a la Mexicana, which is dried and spiced pork or beef, normally accompanied by egg and avocado and wrapped in a flour tortilla. Burritos are also big in Chihuahua and have chile colorado, frijole beans and shredded pork or beef. 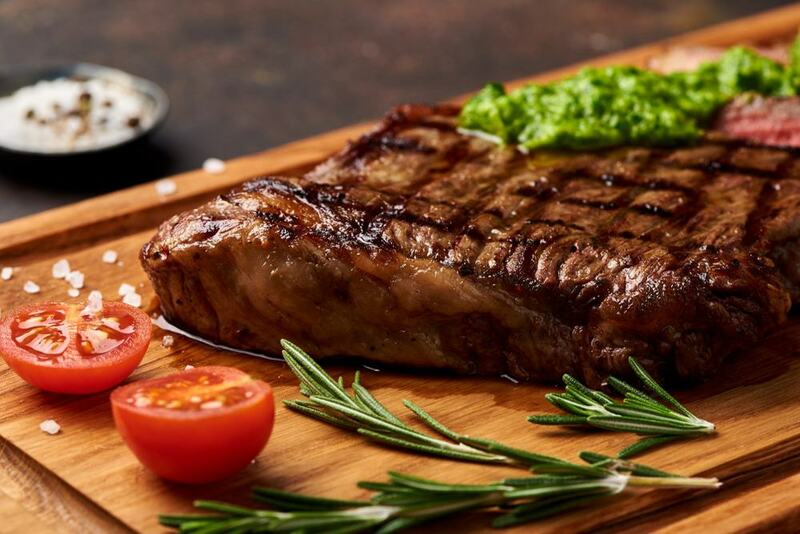 Chihuahua is famed for its Angus, Hereford and Charolais beef: The finest cuts are served at high-quality restaurants with roasted onion and potatoes, while the skirt, flap or flank steaks are seared on the grill to make carne asada.